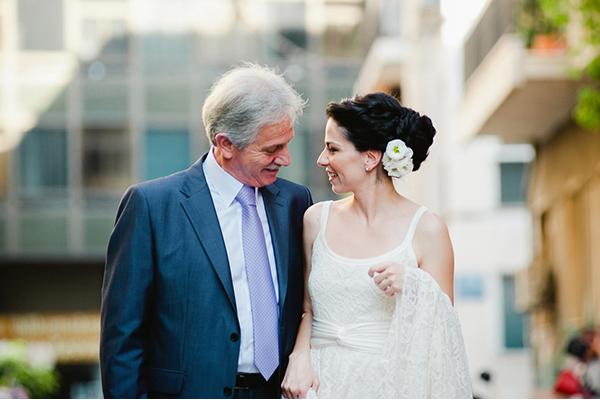 Are you looking for the best recessional songs for your wedding? Then this is your lucky day! 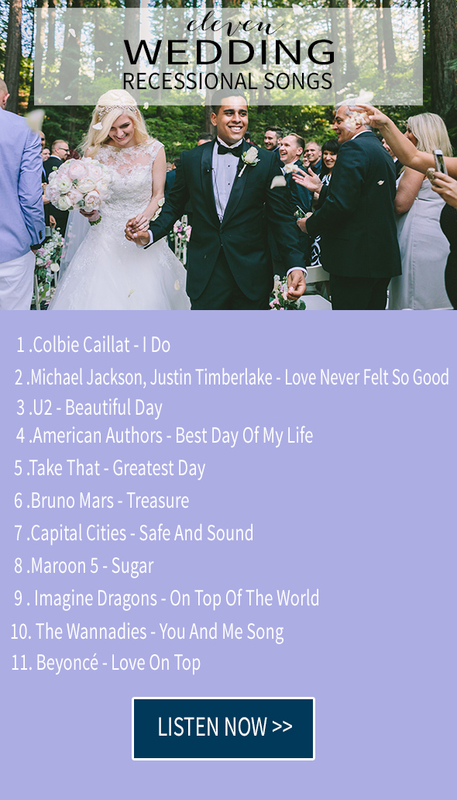 We are so excited to share with you today an amazing list of the most fabulous and upbeat wedding recessional songs we suggested! Recessional wedding songs, or wedding exit songs are the wedding songs that play after you have said “I do”, after you have kissed… right after you have been officially pronounced husband and wife. You are about to walk back down the aisle hand in hand with your loved one and this is the point where you want to exit your ceremony in a celebratory manor! 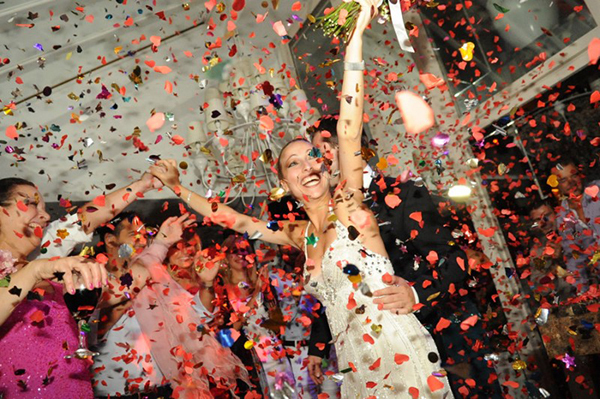 The right celebratory exit song will make your exit as memorable as your entrance! This is the ideal time to celebrate your new married status, so pick a song that will express your feelings about that. Your song choice can be affected by your mood – it should be an energetic, upbeat song that will prepare your guests for the upcoming party. You want your wedding recessional music to be festive and make your wedding guests get excited and feel inspired to cheer for you! These are the first steps as a married couple and wedding recessional songs should set the stage for such a momentous change in your life! Just like choosing the rest of the wedding songs that will be playing during your wedding day, choosing wedding recessional songs is right up there on the list of the most important decisions that you will be making for your wedding day. 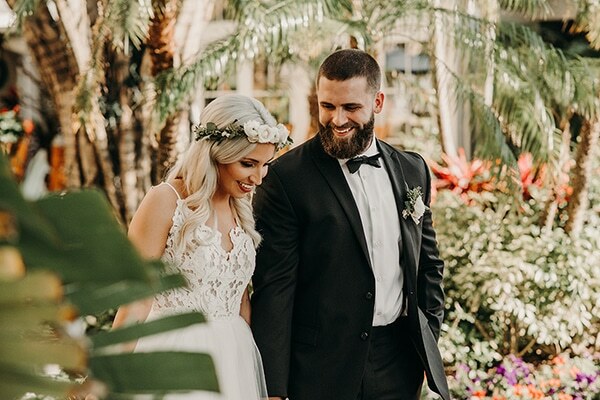 Depending on your wedding style and your personality as a couple, recessional wedding songs can be traditional or classic wedding songs, alternative wedding music, modern or contemporary wedding songs. There is isn’t a wrong or right choice as long as you are picking a wedding exit song that you both as a couple agree upon. 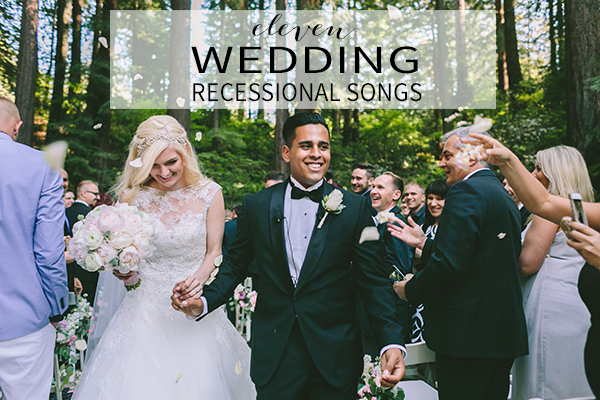 Check out the following amazing playlist of recessional wedding songs and find the right fit for you! Find the song with the lyrics, the melody, the beat or the combination of all which shows that you two are finally married and this is the best thing ever! Make the most incredible exit with one of the above and be sure that this is a moment that you’ll always remember! Check out our other inspiration posts for wedding songs:10 Alternative walking down the aisle songs, Fabulous first dance wedding songs and the ultimate wedding reception entrance songs. Enjoy! 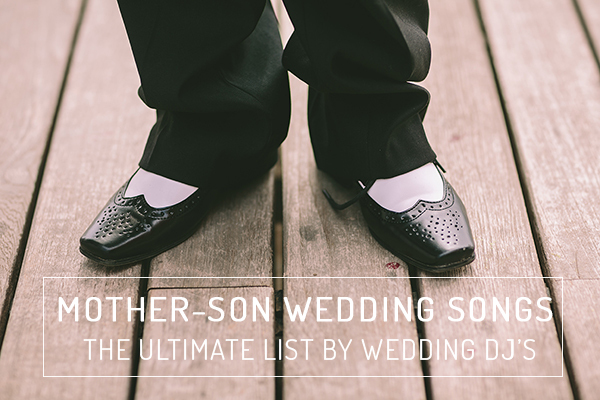 What are your favorite wedding recessional songs? We’d love to hear in the comments below. !